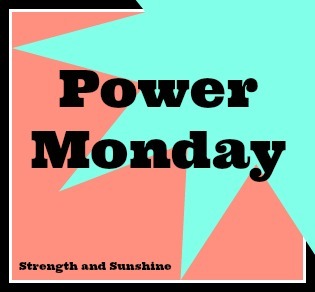 Happy Power Monday! Have you been gearing up for T-Day? We are t-minus 3 days till! I got all my cooking done and in the freezer on Sunday except for my stuffed mushrooms which I will be making on Wednesday since I am taking the day totally off from school! (It is a half-day anyway, so why not!) Besides my cooking marathon on Sunday, Saturday was more of a chill out day. 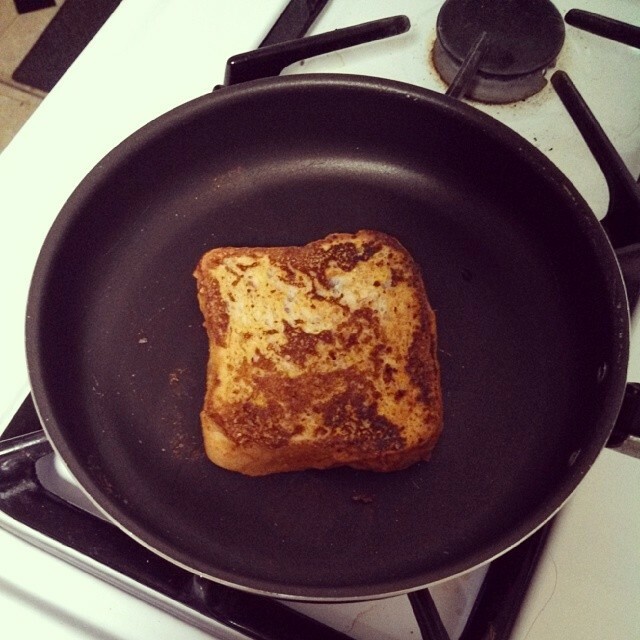 I made some pumpkin peanut french toast for breakfast! Totally first time experiment success! I went to the grocery early in the morning, sent out college stuff, walked last weeks episode of The Walking Dead, tried to make sushi which was a total fail so I changed up the presentation and put it in a bowl! Still delicious! Man, I have so many recipes to share with you guys over the next few weeks. The recipe and cooking inspiration just keeps coming and you can’t keep me out of the kitchen! I am loving it. Check out the delicious blueberry green cookies n’ creme smoothie I made Saturday! I also had my first ever Persimmon on Sunday! It was delicious, I have been missing out. But I did get a weird grainy type texture in my mouth afterwords…hmm? So for today’s Power Monday I want to focus on my gluten-free and allergy friends! With T-Day in just 3 days and all the other fun holidays coming up over the next few weeks, it is inevitable that you will be going out to parties, get-togethers, and family dinners. These may sound fun and exciting for the normal Joe, but for someone with food allergies it can be an anxiety filled time of dodging landmines and bombs. What do you do when Aunt Linda trying shoveling her famous green bean casserole on your plate. “What?” she says, “It’s only green beans!” But you know that the creamy sauce she used is full of gluten, not to mention she just used the same spoon to dish out the sweet potatoes with crumb topping. Well have no fear! because I have some tips that will help you navigate these treacherous holiday times! No one wants to feel sick or needs the added stress of dealing with allergies during these times of joy and love. And they do not have to! 2. BYOF: Bring-Your-Own-Food (or dish). This way you know you will be able to eat something and you know it is safe. Make some more and you can share it with everyone. Letting others try your dishes can spark conversation and education about your allergy. Just make sure when serving cross-contamination does not occur. The dish should have its own serving utensil, etc. Better yet, get you food first and let others try it after you have already got your portion on your plate! 3. Pack safe snacks: If you are going to more of a cocktail party (say New Year’s Eve) just bring a large purse and keep essential snacks with you just in case. You can bring some food bars, nuts, veggies and fruit (maybe your own bottle of G-Free beer if you are of age ;). You can also plan to eat a light dinner before, this way you won’t have to worry about getting to hungry during the party. 4. It is okay to say no…thank you: When you do encounter a situation like Aunt Linda presented, don’t be afraid to stick up for your health and say no. If they just don’t understand you allergy, politely say you are so full and really couldn’t eat more or be a tricky fox and accept their gluten-filled cupcake with thanks. Then walk away and pass it off to you gluten-eating partner in crime. They can take that treat right off your hands. If you are sitting down at a table and the serving bowls are going around, sit next to your gluten-eating partner and have them grab the bowl going around. This way it skips right over you and no one needs to say a word. 5. Swaps: Don’t forget that being gluten-free or allergy-free does not mean you have to pass up on traditional dishes. Swaps are so easy! Take the stuffing. Just use your favorite gluten-free bread (I will have an awesome recipe you can use tomorrow if you need a new one!). To thicken sauces use cornstarch instead of wheat flour. For that nut crumble topping on the sweet potatoes, just use oats and lovely cinnamon! 6. Sneaky ingredients: Watch out when you reach for that turkey or ham. Seek out the ingredients to any marinades or seasoning used. These can be huge landmines waiting to explode you night…and your stomach! 8. Be the Host: I wish we could host holidays at my house, but we never have…ever. I would love to cook mass quantities of my favorite allergy free and vegan dishes and share them around the table with the ones I love. If you are able to host at your house, I say go for it! This way all the food you cook will be safe and you know it! Have family or friends bring any other non-safe dish must haves for everyone and keep them separate in the house and on the table. 9. Enjoy the love: The holidays are about love and happiness. You deserve to be healthy and happy during this time, remember that! Don’t compromise your health just to please another. Focus on the positives and enjoy the time with family. Don’t let food rule you, just keep it safe and be aware. 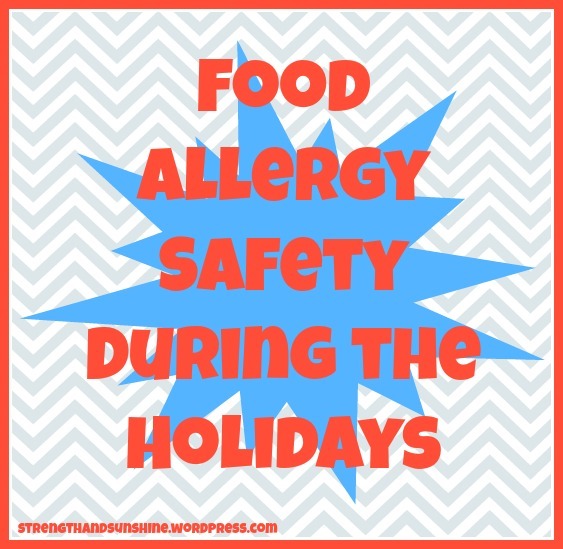 How do you feel about holidays and allergies? Are you family members/friends understanding or just never seem to understand? Anymore tip to add to this quick list? Prevention is key! Preparation is power! And these awesome tips are so helpful to those of us who are concerned about food allergies or even specific food preferences, while dining out. I offer to bring a dish or two to most parties that I can eat and others will enjoy! Thank you for making life a lot easier with these great tips. And thanks for sharing this post on the Healthy, Happy, Green & Natural Hop! Bringing your own food is always the best thing you can do! Thanks Marla! Once you find what works and how your family reacts in these situations, it becomes a lot easier. I wish I could host! When I have my own house and am one of the adults, I already told my mom, I will b hosting all the big holidays! It is actually my dream to be able to cook huge feasts and parties for my family! 😛 Haha! We have a little bit of everything in my family … Celiac’s, Raw Food eater, nut allergies, and just plain picky (that would be me). I’ve been saying “no thank you” forever. You have a good list. My munchkin accidentally ingested a macadamia nut cookie at school (he can smell peanut butter a mile away but isn’t always familiar with all the other nuts out there). Not life threatening, but it was a miserable afternoon for him (and thus me!). O no! I hope he is okay! Allergies at school, especially for the younger ones can be extremely hard to deal with. But as he grows he will be able to advocate for himself! Such good tips! I find it so hard with allergies. My preference is just to enjoy the company and not to eat, but then that usually makes other people uncomfortable. I know! If we ever have to eat out at restaurants I bring my own food or just opt out of eating.